After I finished my bracelet, my daughter wanted one for herself as well. So I took the opportunity to recycle toys playmobil’s flowers . My kids love it but after a while I’m sick of scoop up small pieces (especially when they are in a bunch of dust I just sweep … you know, right?). So instead of keeping them in a box, why not do something with it? If you have no playmobil around, you can find similar beads in a crafts store. 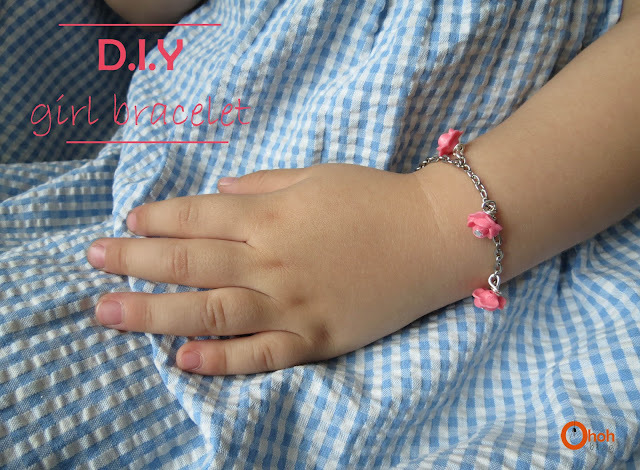 Después de que terminé mi pulsera, mi hija quería una para ella también. Así que tomé la oportunidad de reciclar las flores de sus juguetes de playmobil . A mis hijos les encantan, pero después de un tiempo estoy harta de recoger todas las piezas pequeñas (especialmente cuando están en el montón de polvo que acabo de barrer … ya saben, ¿no?). Así que en lugar de mantenerlas en una caja, ¿por qué no hacer algo con ellas? Si no dispone de playmobil, pueden encontrar perlas similares en una tienda de manualidades. 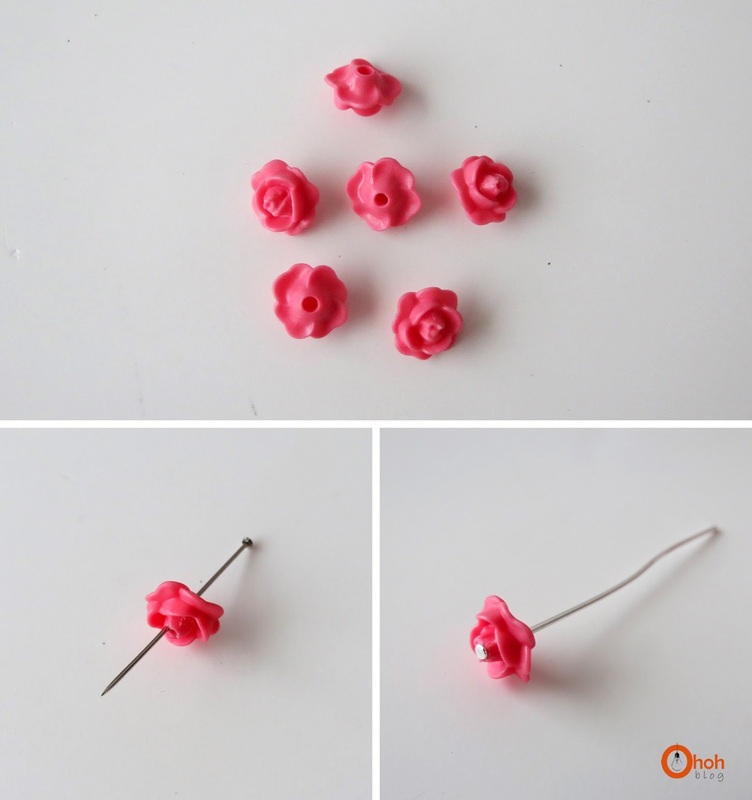 Make a hole in the flower with a pin. Skip a silver head pin through. With pliers, wrap silver pine around the chainstitch. Do the same for each flower. Finally, attach clasp. Hacer un agujero en la flor con un alfiler. Coloque un alfiler de plata a través de la flor. Con alicates, enredan el alfiler al rededor de la cadenita. 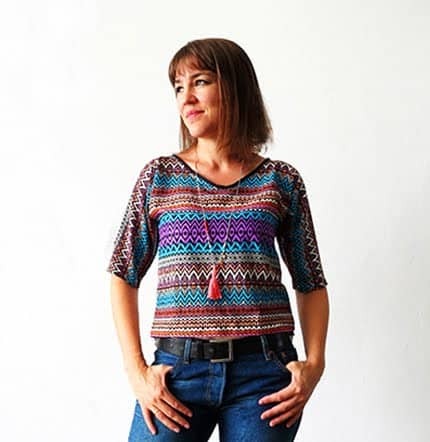 Haga lo mismo con cada flor. Por último, coloque el broche. Et voila! 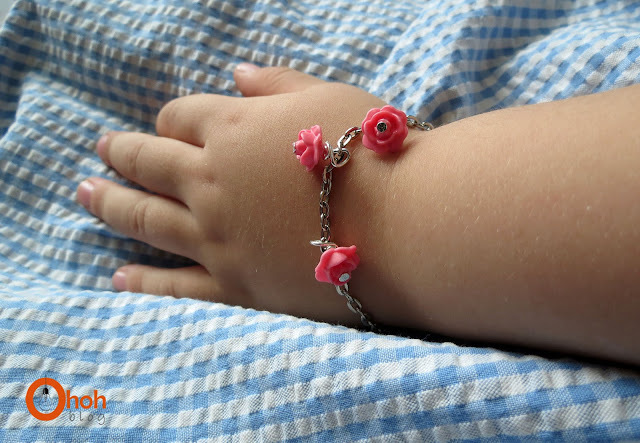 She loved her bracelet, and wore it …. one hour! Then his brother used it as a tow chain for his toy cars! Et voila! 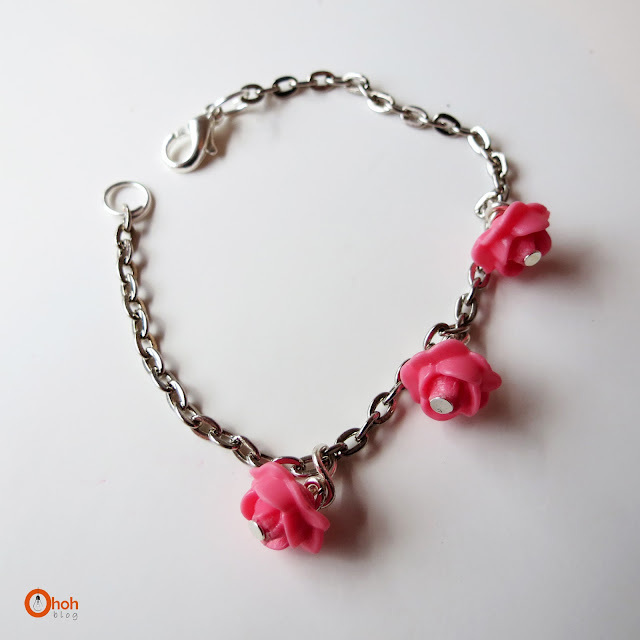 Le gusto su pulsera, y se la puso …. 1 hora! Después su hermano la agarro como cadena de remolque para sus carritos! This is so sweet, Ama! And good to know that it doubles as a tow chain 🙂 Thanks for linking up! Ce que vous faites est vraiment magnifique!!! Quelle créativité!!! Bravo!!! Merci Michèle, contente que ça vous plaise! I think this is the cutest girl’s bracelet I have ever seen. I like the design and the color which make it look amazing. Thank you, I would had like that my daughter puts it more often…but she doesn't want to! This is so cute and sweet!! I like your pretty design and the shade which build it look marvelous.